The rollercoaster of the 2019 awards season continued Tuesday with a batch of Oscar nominations that few could have predicted. There were more than a handful of downright stupefying exclusions, including Bradley Cooper and Ryan Coogler for director. Bradley Cooper’s “A Star Is Born” may have tied for second-most nominations and scored him personal nominations for acting, screenwriting and best picture, but not where it seemed to matter most: Directing. It is a stunning absence, considering that he managed to snag two Directors Guild nominations. So much for his “Ordinary People” or “Dances with Wolves” moment. Robert Redford and Kevin Costner, you’re safely still the only two handsome actors-turned-directors who won Oscars right out of the gates. 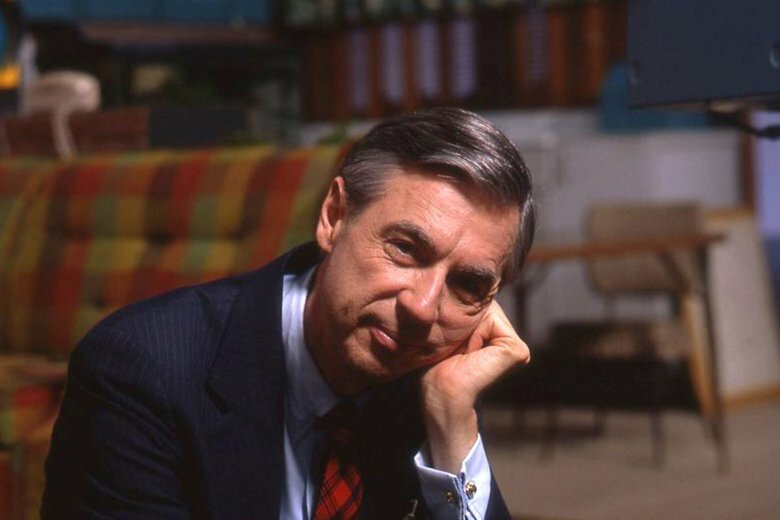 Morgan Neville’s Fred Rogers documentary “Won’t You Be My Neighbor?” charmed critics and audiences alike this summer, grossing over $22.6 million at the box office and winning a slew of awards, including from the Producers Guild this weekend, but the documentary branch shockingly left it off its list this year. Also missing was “Three Identical Strangers.” But there is a silver lining in that “Minding the Gap,” a coming-of-age odyssey that seemed in danger of being forgotten, made it on. It’s not uncommon for superhero movies to get Oscar nominations in the technical categories, but “Black Panther” is the first ever in the genre to be nominated for best picture. While it’s not exactly a surprise for a movie that has been in the best picture conversation for a year, it is something that has been a long time coming since the film academy infamously failed to nominate “The Dark Knight,” and subsequently doubled its potential nominations from five to 10. But with Ryan Coogler having been shut out of the directing category, there’s still another mountain for superheroes to conquer another year. It might have been a long shot, but Bo Burnham’s ode to life’s most awkward year at least seemed to have a small chance of getting a nomination, for writing or Elsie Fisher’s achingly poignant performance. “Eighth Grade” might not be suiting up for the Dolby Theatre now, but the team will still get to celebrate Oscars weekend in a much more relaxed setting: By the beach at the Film Independent Spirit Awards where it is a leading nominee. Many expected the first time actress Yalitza Aparicio to be nominated for her leading performance as the quiet housekeeper and nanny Cleo in Alfonso Cuaron’s “Roma,” but a supporting nomination for Marina de Tavira seemed to come out of nowhere. Not that it’s undeserved! As the mother of four trying to manage a household while her marriage is falling apart, de Tavira is excellent and integral to the emotional resonance of the story. After a Cinderella year with “La La Land,” Damien Chazelle’s ambitious Neil Armstrong biopic “First Man” stumbled on the awards circuit. While Chazelle wasn’t on the top of many lists for another directing nomination (after becoming the youngest ever to win the award for “La La Land”), most expected Justin Hurwitz’s theremin-based score to at least be among the nominees, or Claire Foy for her supporting performance. This is honestly getting a little tiresome. Following in the footsteps of the Golden Globes and the Directors Guild, the directing nominees this year are all men, and all the best picture nominees were directed by men too, which just seems downright egregious in a year with films like Debra Granik’s “Leave No Trace,” Chloe Zhao’s “The Rider,” Tamara Jenkins’ “Private Life,” all of which got no nominations, and Marielle Heller’s “Can You Ever Forgive Me?” which picked up acting and screenwriting nods. Documentaries had a much better showing for female directors, with “RBG,” from Betsy West and Julie Cohen, and “Free Solo,” which was co-directed by Elizabeth Chai Vasarhelyi. The addiction drama “Beautiful Boy” and the conversion therapy film “Boy Erased” may not have been anyone’s front runners, but it was a little surprising that neither Timothee Chalamet nor Lucas Hedges got acting nominations. The two young stars have each been nominated once, Hedges for “Manchester by the Sea” and Chalamet for “Call Me By Your Name.” But as they’re only 22 (Hedges) and 23-years-old, they’ll have plenty more opportunities for Oscar gold. The role of Mary Poppins sent Julie Andrews singing to a best actress Oscar in 1965, but Emily Blunt couldn’t recreate the magic with “Mary Poppins Returns,” despite widespread praise for her performance. Like Andrews, it would have been Blunt’s first nomination.